August has been a rough month. Since our road trip to Portland, I never really got back on a good schedule & I have been exhausted! I have wanted to do nothing but lay in bed & sleep. Last week I had two days off in a row & I did nothing but lay in bed, catch up on my TV & read. I loved it. Now that September is here, it is like back to school time, even at 28. I am back onto focusing on my real estate classes & getting ready for holiday at work. 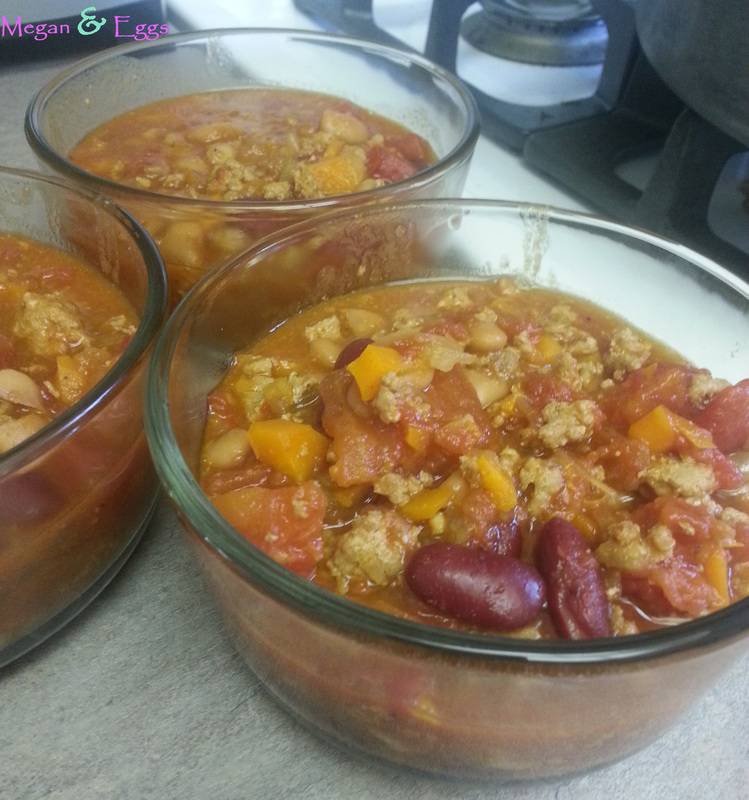 So without wanting to change up too much I am bringing it back today to a recipe that I make pretty often. 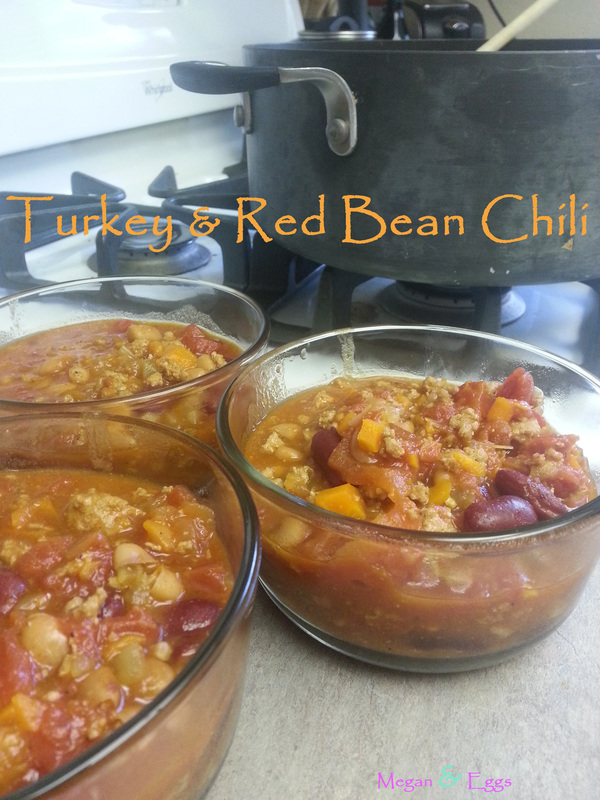 My turkey & red bean chili is something I have made forever & is quick, simple & easy. Enjoy. 1. Brown ground turkey in a skillet seasoning it lightly with salt and pepper. 2. In a pot, add oil, chopped carrots, chopped onion and chopped celery. Allow onions to become translucent and veggies to become tender. 3. With a slotted spoon, remove meat from any extra grease and place in pot. Add beans, chili powder, and red pepper flakes. 4. Add diced tomatoes with the juice and 1 cup of water. Mix together and add salt and pepper. 5. Bring to boil and lower heat to medium for 45-60 minutes.